Friends v Newark Northern B.C. 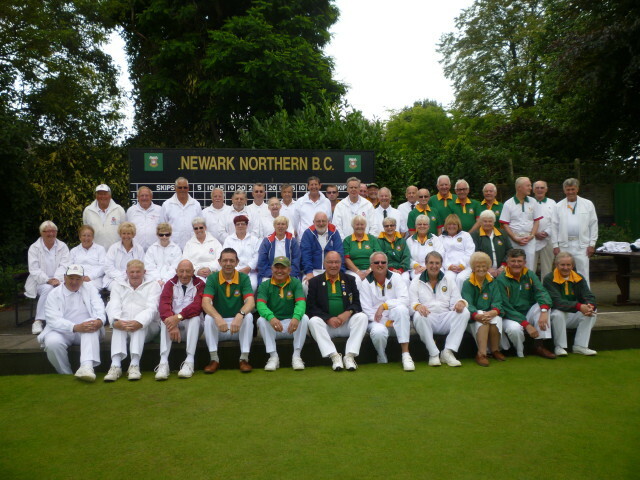 We arrived on a fresh chilly morning to a warm welcome by Newark Bowls Club, which is situated near the centre of Newark, a historic and interesting town. First in the program was lunch, a fresh sandwiches and homemade cake buffet, very nice, and tea, coffee, beer and wine. The drinks were served over a small bar at the end of the kitchen. Well wrapped up and with hand warmers we went out to do our best on the Newark green, which is used by Nottinghamshire for their Middleton cup matches. Before the match we played a spider, which raised £50 for the club. The home side were strong, with two rinks from other clubs, so we let them win, very friendly. Back to the socialising and the after match meal, and what a meal. The ladies had made a beef hotpot for each table plus fresh vegetables. There were soon “Olivers” asking for more. Next there was homemade scones with fresh cream and jam, followed by cheese and biscuits. A truly scrumptious meal. Thank you ladies. Captain of the Day, Adie Lloyd made a speech on behalf the Friends thanking Newark Bowls Club for giving us a very lovely day, never mind being beaten in the match. 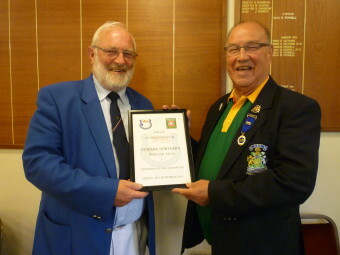 He awarded the highest winning rinks on both sides with his coasters and presented a Friends framed Certificate to the Club. Geoff Wilkinson replied for the club saying how pleased they were to see the Friends from so many different counties (14). He presented Adie with a small gift and told us a story to to make us laugh. Then Maz Gardner (Notts. 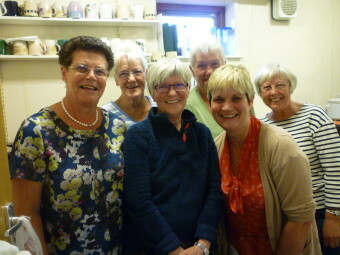 Ladies IPP) joined in with another story and more laughter. Well it was home time, time to say goodbye to new and old friends and unravel the car park. 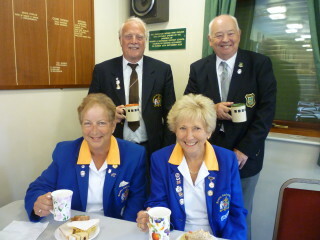 THANK YOU for Newark Bowls Club for a really special day.